Do I need a passport for Colombia travel? Yes. Read about getting a passport. Do I need a tourist visa in Colombia? 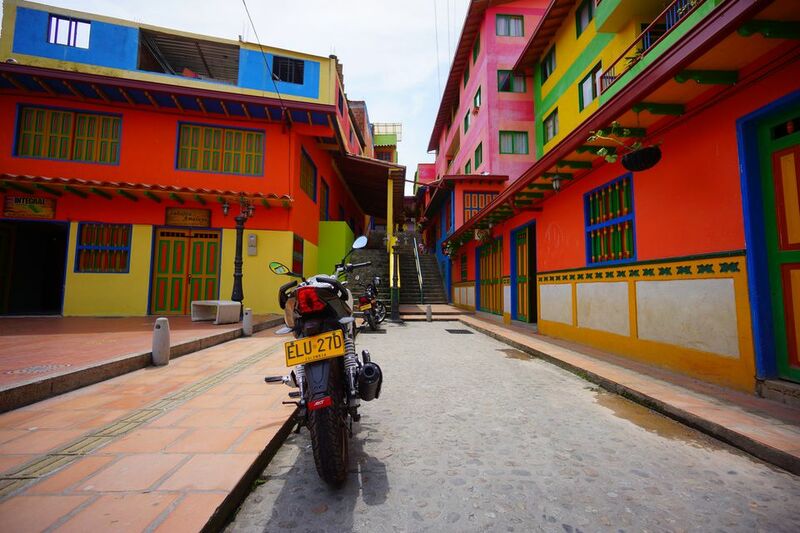 U.S. citizens traveling to Colombia do not need a Colombian visa for a tourist stay of 60 days or less. You may have to show evidence of return or onward travel, like a round-trip plane ticket. You may get fined if you overstay a visa. See the US gov's Colombia visa, entry and exit info. Do I need shots before I travel to Colombia? Probably not. Read more about travel immunizations, and ask your doc about yellow fever documentation. Read about all travel documents. Bring a jacket and socks if you're going anywhere other than the coast -- though some of it's on the equator, much of Colombia is also mountainous! Think Rocky Mountains in spring -- Bogota's average temp is in the 60's, for instance; always stick a hoodie in your day pack while touring anywhere inland. The coast, though, is hot and often humid -- remember that the northrn part of Colombia is bordered by the Caribbean Sea. No need for an electrical converter. Comfy walking shoes are a must - many museums to march through in this country. You'll find the best airfare to Colombia from student airfare agencies like Student Universe. Watch for specials and you can save a bundle. Don't be fooled by some airlines' "student airfares" -- student airfare agencies have the real deal. Airfare sales do happen, though -- check student airfares against an aggregator's roundup of regular ticket prices. Air to Cartagena may be cheaper with an air/hotel package, but those stays are usually very short. Colombia's a big country (439,735 square miles) and getting around by bus is thus slower than flying, but efficient enough and pretty cheap (read a Bogota-Medellin bus trip report); figure on eight hours from Bogota to Medellin, and 12-14 hours from Medellin-Cartagena (and the days when criminals ruled the Colombian roads are over). EasyFly is the big low budget airline; Avianca has tons o' flights. Inside cities, buses are plentiful and cheap; Medellin has a massive, modern metro. Colombia's currency is the peso: subtract zeros to keep your cash straight -- in fall 2009, $1USD is roughly 2000 Colombian pesos. Exchange rate is usually decent; don't count on total shoestring travel in Colombia, though it's not pricey. Clubs are not exorbitant (and there are some hot ones); some museums are free, and food is downright cheap -- lots o' carbs. Though traditional Colombian cuisine's experiencing some serious nouvelle treatment from chefs like Harry Sasson, god of back-to-origins Colombian cooking, most daily fare is seriously simple and unspendy. How safe is Colombia travel? Water in the cities is perfectly safe; in rural areas, you may want to carry bottled water or your own water purification method. You may have to pay for doctor visits in advance (like before getting care). Malaria's possible, and dengue fever does happen. You can buy most prescription medicine that you actually *need* in pharmacias, or farmacias, where the pharmacist can be enormously helpful in helping you diagnose minor ailments. In case it's relevant, know that cocaine is not something backpackers are gonna want to do in Colombia. Colombian cocaine is almost all shipped to the United States -- Colombian locals don't do that dope, in no small part because the devastating effects of the cocaine trade nearly destroyed their country while killing thousands over a deadly quarter century. Hans, owner of Casa Viena hostel in Cartagena, says it very well: "Consuming cocaine means not less than to have somebodys blood on one's hands...". See Casa Viena's Colombian cocaine advice.